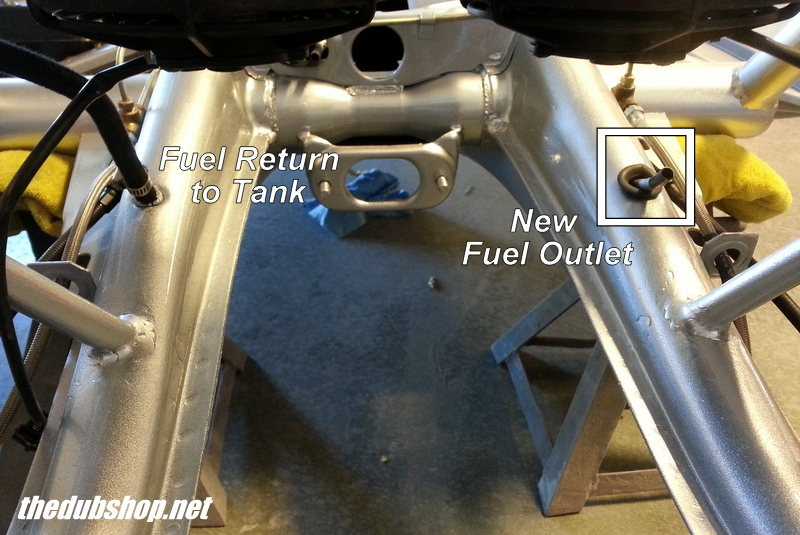 The factory fuel line is connected to the small fitting on the right side of the fuel tank tee. 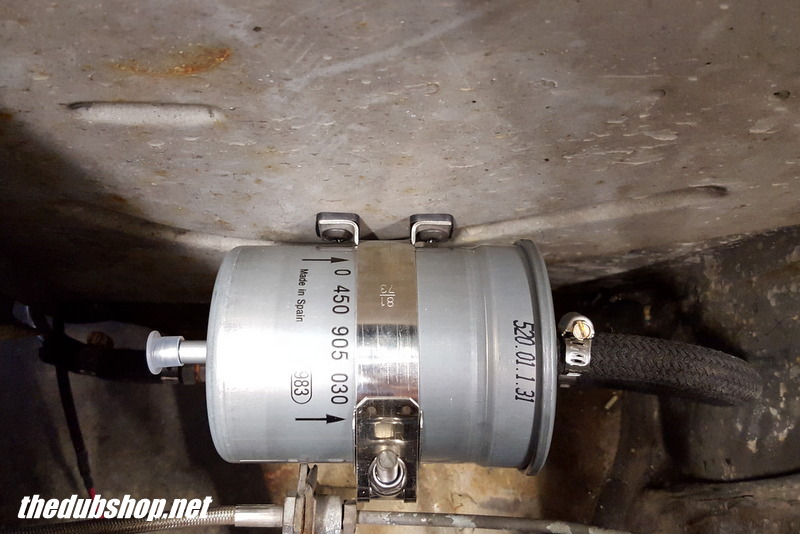 The larger fitting on the left will feed the input of the fuel filter. 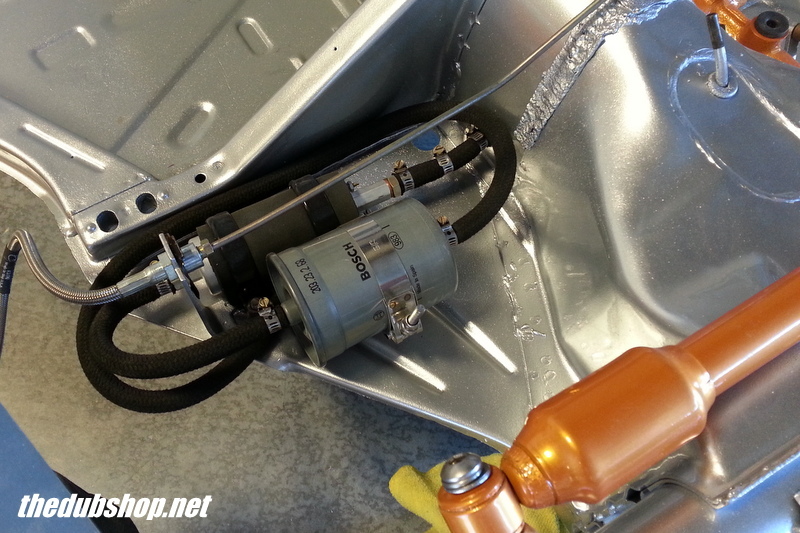 That then loops down to the fuel pump. 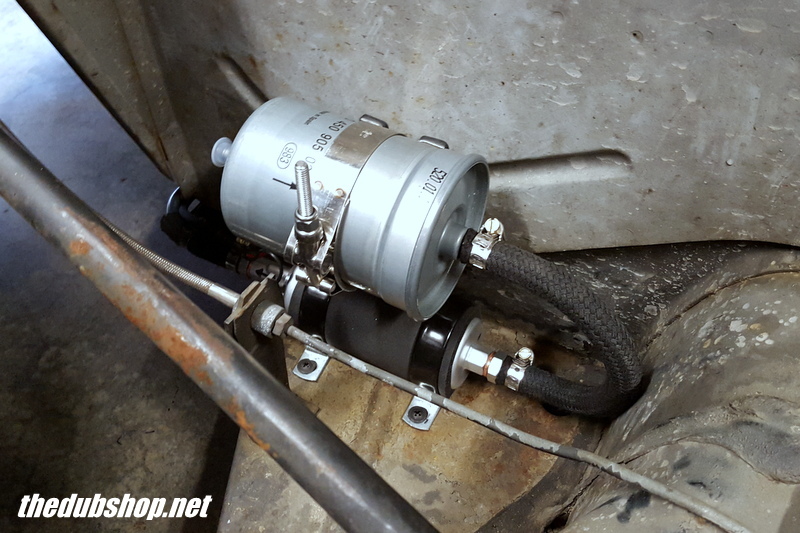 The output of the fuel pump is connected to the 5/16" hard line running to the rear. 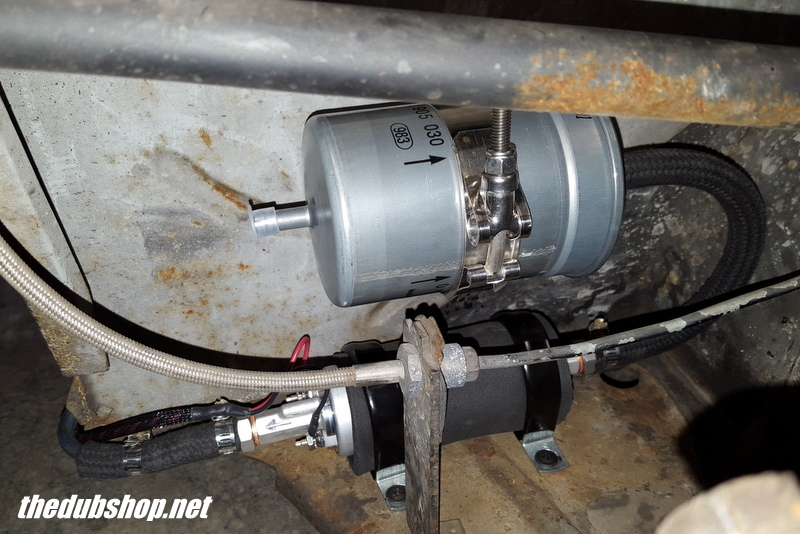 Pump and filter mounted, note flow directions of filter and pump. Filter mounted with easy service bracket. 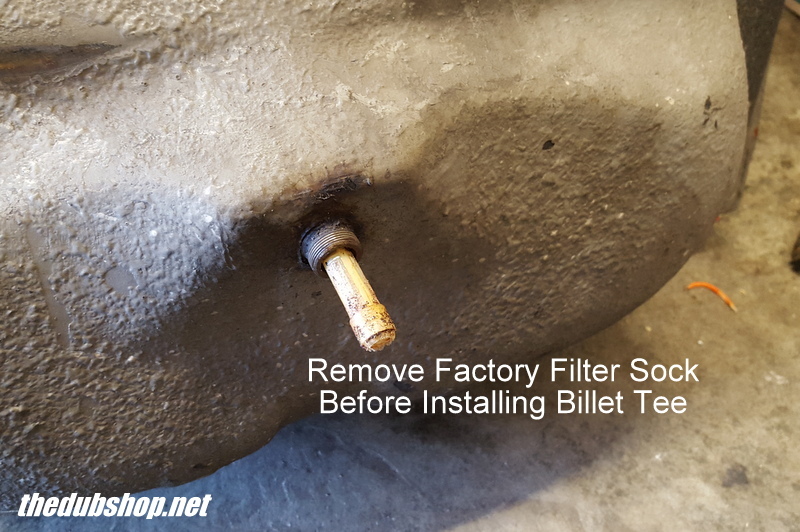 You need to remove the factory filter sock to provide proper flow to the filter and pump. While you have the tank out, take the opportunity to clean it out well. 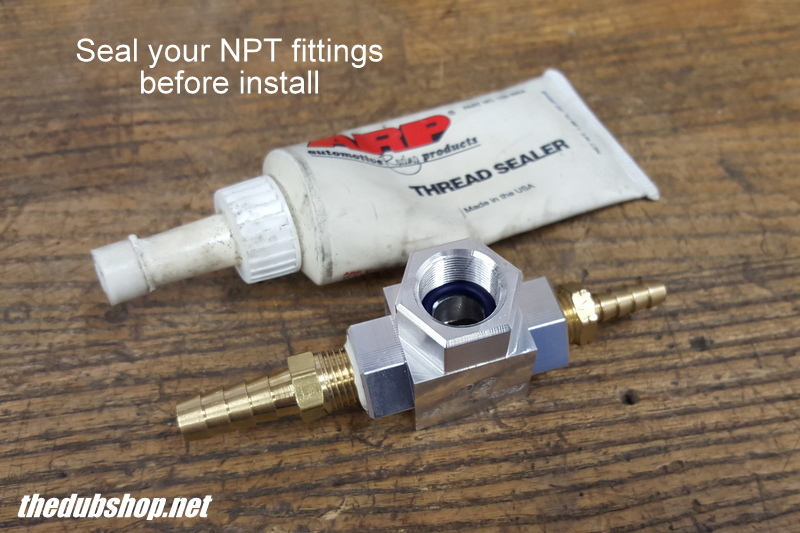 All the NPT fittings in the kit need to be sealed with thread sealant. 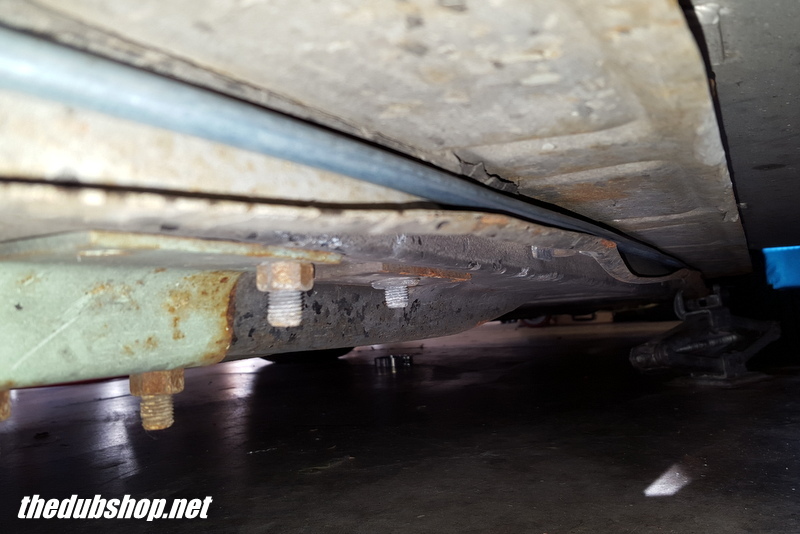 You can find small packets at most auto part stores if you do not have any on hand. 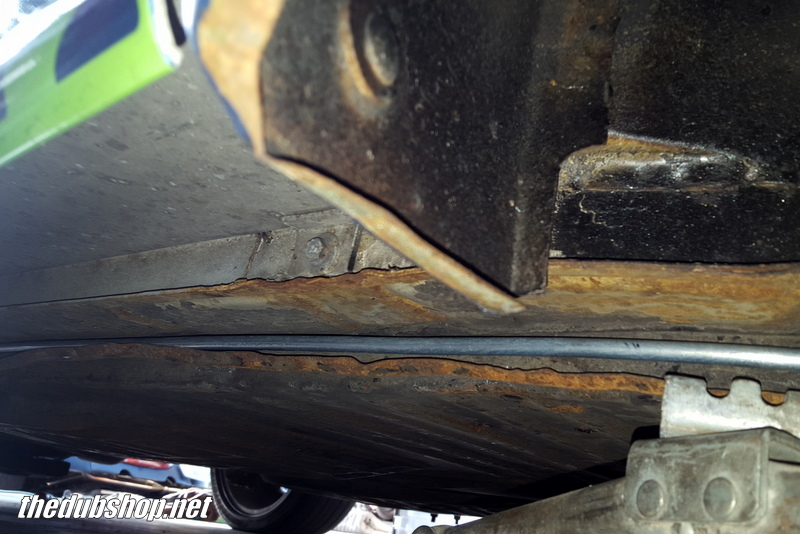 Teflon tape is not recommended as it can dissolve into the fuel system, causing leaks and clogs. 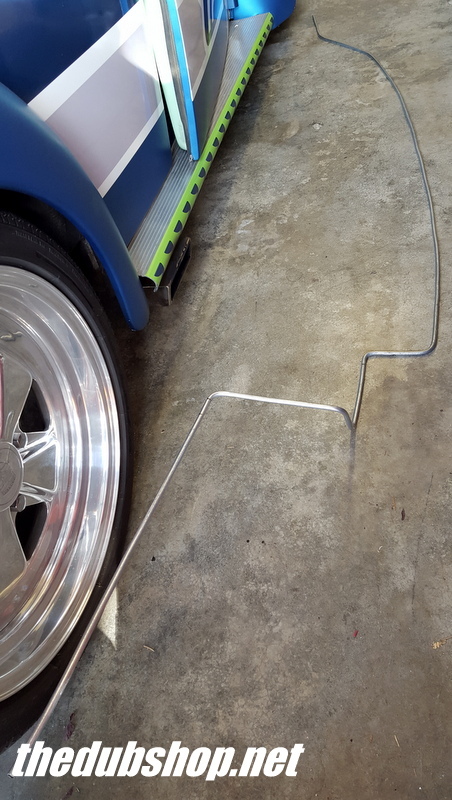 Preliminary bending of the hard line to run down the side of the pan. The hard line needs to be formed to meet the contour of the pan. 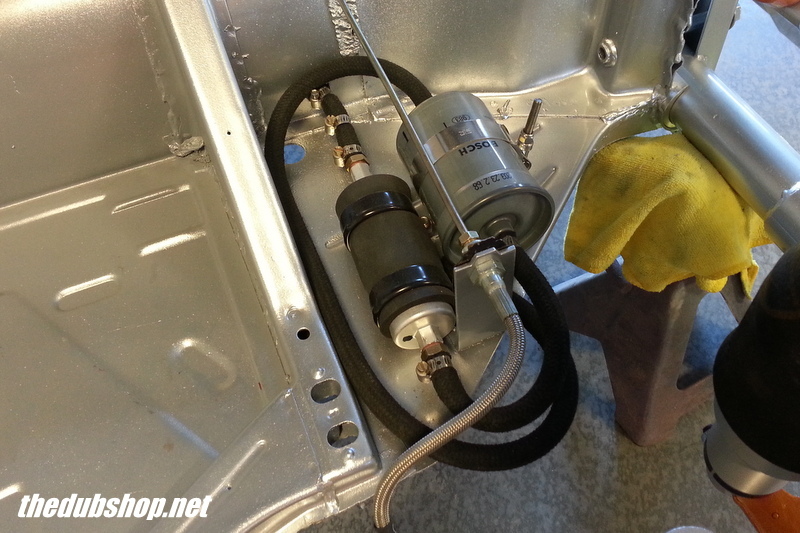 In the front portion it will wrap around to meet up with the fuel pump. 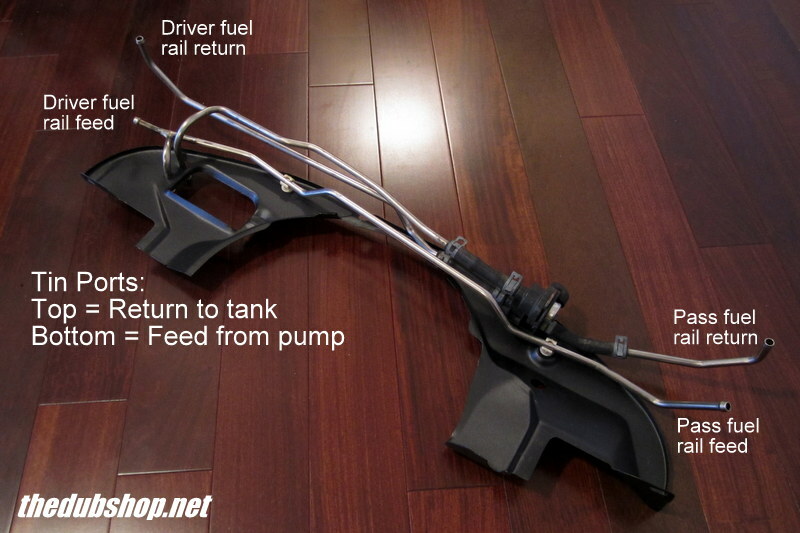 For the best results, keep the fuel line as tight as possible to the pan. 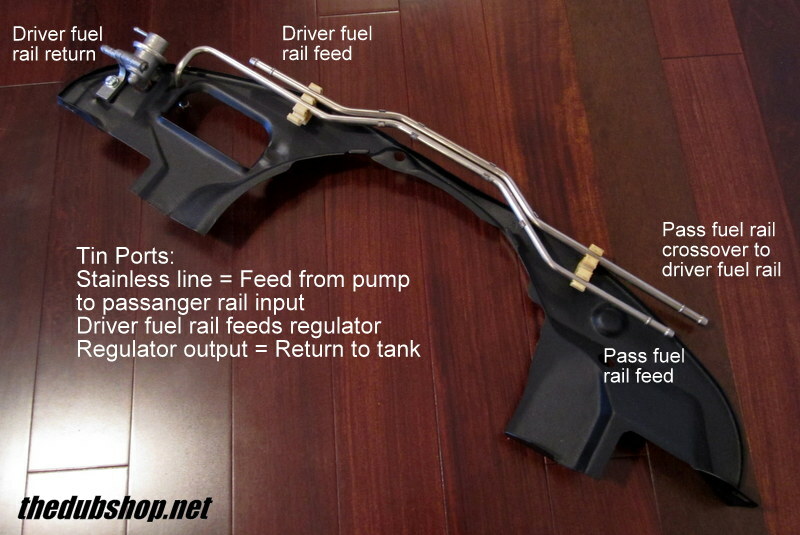 Fuel line tucked into the pan rail towards the rear. 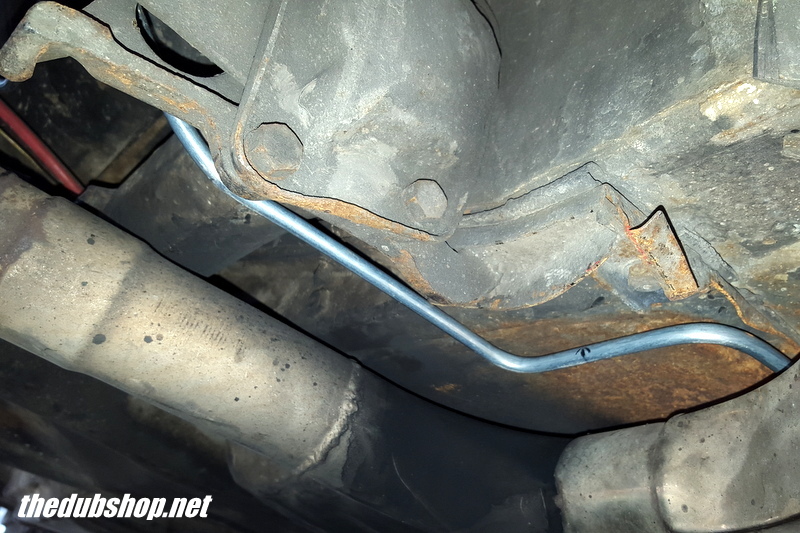 Here the fuel line transitions under the torsion housing and next to the transmission. With a couple more bends it will be ready to exit into the engine compartment. With this install the line will come out here. This position will vary by install. Locate this in a place that works best for you. The hard line can be run through the pan as seen here. This method takes some time and a lot of patience. It can be done with the body on but set aside 4-6 hours. 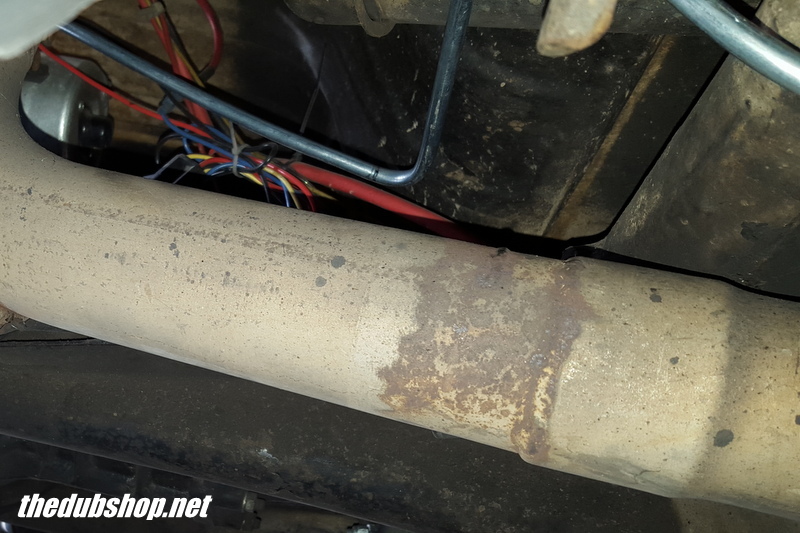 You will need to remove the front shifter rod access plate, shifter, and rear access plates to snake the tubing through the tunnel. 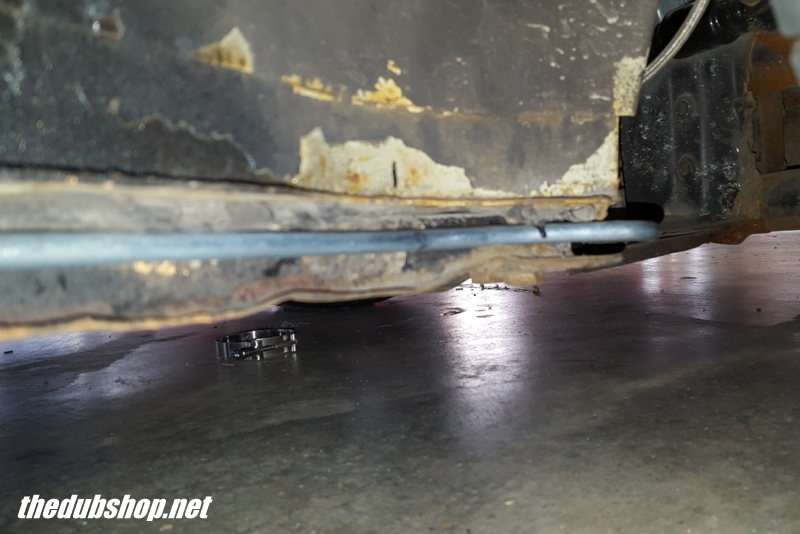 Getting it around the torsion housing is the hardest to exit at the frame rail. The hard line can be run through the pan as seen here. This is more difficult than running it down the pan. 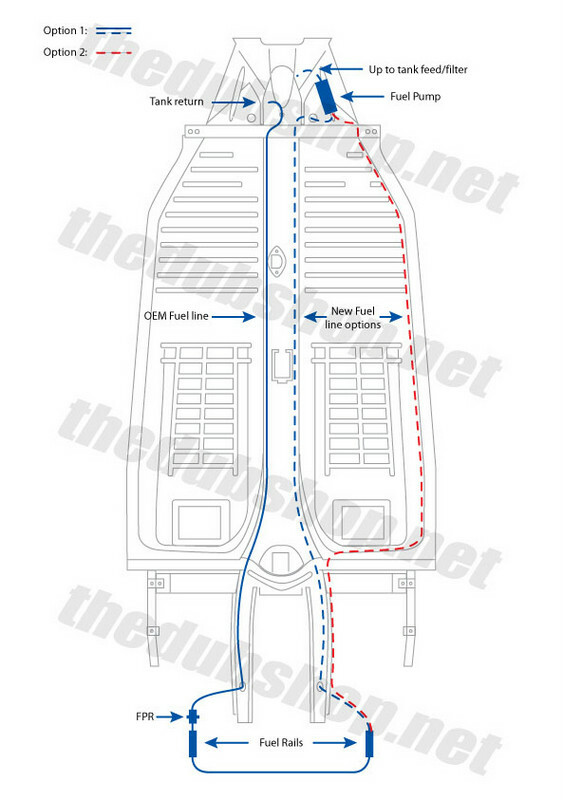 When complete the line will exit opposite the factory fuel line. Make sure to leave room for a grommet when sizing your hole. 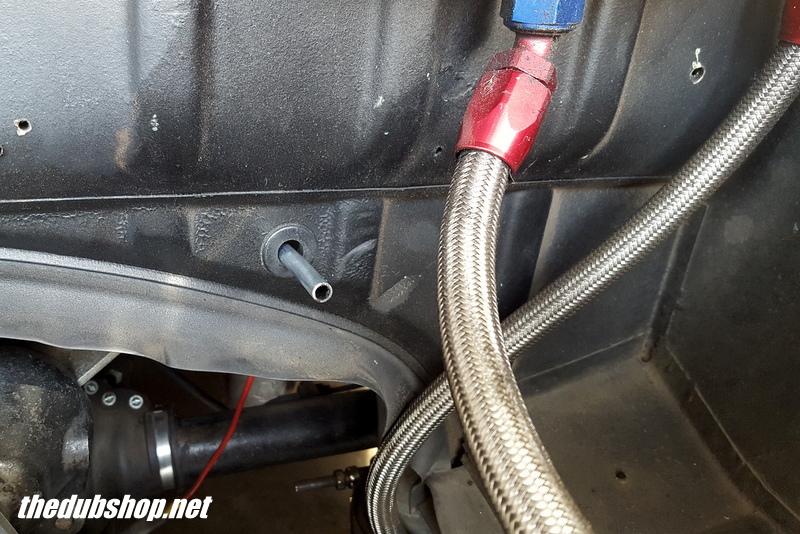 This is the plumbing for the early Mexican EFI fuel lines. 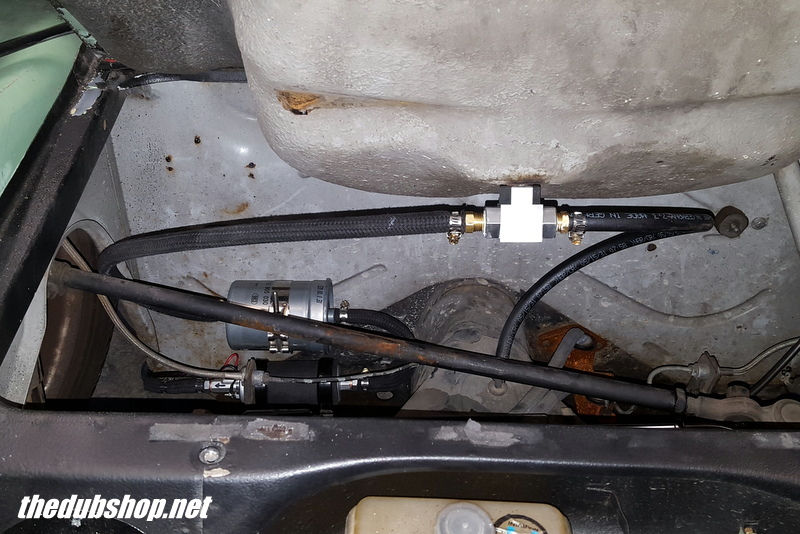 This is the plumbing for the late Mexican EFI fuel lines.